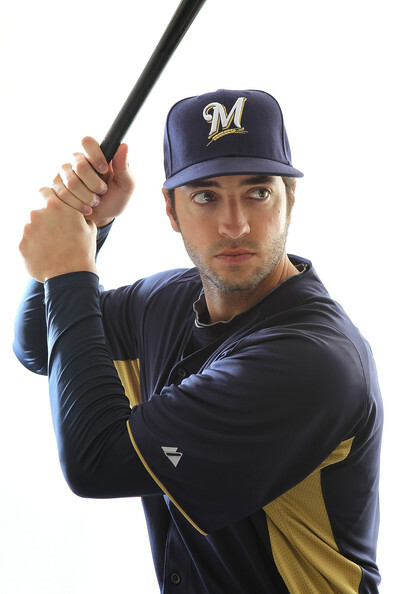 Congratulations to Ryan Braun, one of my very favorite baseball players, who just won his first MVP award. I had been pulling for him before, but thought Kemp’s strong finish may have swayed voters. Coinciding with MLB’s announcement of the league MVPs, I’m finishing up my final project for econometrics which is more or less a rudimentary version of the stats from “Moneyball,” the book and movie. I’ve finished the model building and got a regression equation so now I can do what Billy Beane did in the great book, and look at players objectively, purely by how many runs they create. Matt Kemp accounted for 122 runs last year, compared to NL MVP Ryan Braun who accounted for a nearly as impressive 112 runs. So, you can see that the runner-up actually had a more productive year at the plate, and that’s not too surprising when you look at the raw statistics. Kemp had more home runs, walks, and steals. Nonetheless, the difference is pretty negligible and Ryan Braun had his great season in a pennant race for a division champion Brewers team. As close as is it, I don’t think the voters got it wrong, Kemp’s season was slightly better (9% better to be precise), but since Braun’s contributions were part of a winning effort, it’s hard to argue against him. What do you think of this season’s MVP award winners? For my take on Verlander capturing the AL MVP, read my previous blog post. As always, please subscribe to this blog by clicking the “Follow” button at the top of the right sidebar. If you don’t have a WordPress account, you’ll have to enter your email address. Thanks for reading!